Arabella Goodwin has grown up in a life of privilege. In the sheltered streets of New York City 1838, she enjoys luxurious clothing, reading fancy books, and imported toys. Her life is already planned out for her, she will be a lady who marries and has a husband and family of her own like any other society girl. That is until the death of her mother and soon after, her father. With their deaths, her life changes forever. She and her other siblings are sent to live with their wealthy grandparents. She hopes her life will continue much how it was before. But that is not the case. At that time, it was believe consumption was passed on genetically to children. Since her mother died of consumption, a doctor is called in and he identifies Arabella and her brother has having the “consumption gene”. They are sent to live in upstate New York with their aunt and uncle who are poor farmers and extreme Puritans. Suddenly instead of reading and painting, Arabella is doing manual labor and being beaten every time she steps out of line. She is bullied by her cousins and hated by her aunt. The only beacon of light for Arabella is a local boy she meets, Jeptha Talbot. He will be her purpose and represents everything pure and good. His love will be an obsession that lasts a lifetime. Instead of letting her new circumstances destroy her, she learns to survive. A series of choice skyrocket her into a position of riches and power all set against the thrilling California Gold Rush in San Francisco. This story is truly breathtaking. Arabella’s character is one to be admired for her strength and resilience. This isn’t necessarily a story about a good girl gone bad or a prostitute with a soft spot or any of the those other cliches. This is the story of a woman who endured many hardships and made the choices she had to, in order to survive. She was unapologetic and real, I absolutely loved her. She was an inspiration. Though she isn’t in a noble profession by any stretch of the measure (she is a madam), but she handles her misfortunes and opportunities as best as she can for a woman in the 1800’s with no power, position, or rights. Given the same set of circumstance I can’t say that I wouldn’t do the same. The novel started out a little slow for me. Her childhood and her struggles as a young girl were obviously important to her character development and the over all story, but for me it was a little thick and sluggish. The beginning of the novel is heavily rooted in fundamental Puritanism and a lot of the character names were very traditional, old Puritan names and a little difficult to keep straight. I also don’t know much about the Puritan religion but it seemed very restrictive…..a very ‘fire and brimstone’ feel to it at least for me. Reading about it was very cumbersome and taxing for me, however, I thought it added a lot of authenticity to the story. This was a novel very much dripping in historic accuracy and authenticity….so even though it was a thick novel and beginning, it was very much worth the read. For me this wasn’t a fast read, nor did I want it to be a fast read. The novel is a bit of a long one at over 600 pages in the ebook version, but the story was worth every page. That said, this isn’t a novel you want to rush through. All of the characters were marvelously developed and written, I loved how they all fit in the story so you will want to savor each page to fully appreciate the novel as a whole. Linguistically, Marguiles was spot on! The prose wasn’t overly colloquial nor was it overly formal, it was appropriate for the period and the various classes of people. The research that Marguiles did historically was phenomenal! Everything fit together seamlessly and flowed well. I felt like I was really there in that time. One thing I was worried about when I picked up the novel was that it was a man writing from a woman’s perspective. 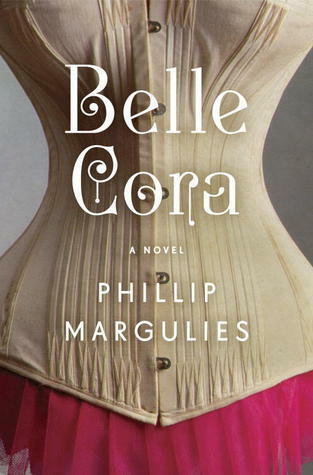 Sometimes I find it difficult when a man tries to write about a woman’s struggles or life….and in this case, there is a lot of inner dialogue from Arabella and my first thought was how can a man really know whats going through a woman’s head? Call it sexist but in my experience there have been few men who really hit a home run writing from a female perspective, particularly a strong woman such as Arabella, so as I said….I was skeptical. Marguiles more than met my expectations! I was blown away at how in tune with the female mind he was….he wrote Arabella with such authority and charisma! Any reservations I had were instantly dispelled early in the novel. Long live good girls gone bad! A stunning read and an unforgettable story!